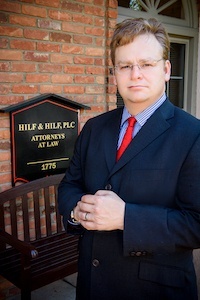 When faced with a probation violation, you should retain a trusted lawyer to help you, such as attorney Daniel Hilf. A Probation violation (also referred to as a VOP or a violation of probation), if established, places you at the mercy of the Judge. Some Judges may be willing to give you a second chance and other Judges have no sympathy and feel that you already received a break by being put on probation in the first place. The work your lawyer performs may be the difference between going home and going into custody. If your case is from Auburn Hills, and you are on probation with a Judge from the 52/3 District Court in Rochester Hills or Oakland County Circuit Court, these Judges for the most part have very little tolerance when it comes to allegations of probation violation. Incarceration up to the maximum possible sentence allowable by law. Whenever charged with probation violation or probation violations, you have a choice how to handle it. One option is to admit to the violation or violations, and offer the Judge any explanation that you have. Another option is to have a contested hearing in front of your Judge. To exercise either of these options it is recommended that you retain attorney Daniel Hilf of Hilf & Hilf, PLC to defend you. Attorney Hilf will provide you with sound advice and help you implement a well thought out strategy to face the probation violation in the best possible way. These rights only mean something if you have an experienced lawyer help you exercise these rights. To effectively fight a probation violation you should never choose to self represent. In order to prepare and present an effective and compelling defense to a probation violation you need a lawyer who is experienced with probation violation proceedings, such as attorney Daniel Hilf. With every probation violation there is an arraignment, where the Judge has the option of setting a personal, cash, or surety bond. Defense counsel may request that the probation violation hearing is delayed for a number of reasons including: need to subpoena witnesses; need for additional preparation; desire to consult with an expert witness; scheduling issues; waiting the outcome of a pending criminal matter. The court has the ability to grant or deny the adjournment request. If the new criminal cases that formed the basis of the probation violation is dismissed, the prosecution still has the option to go forward with the alleged violation. The reason for this is based upon the fact that the burden of proof for a probation violation (preponderance of the evidence) is much less than the burden of proof for a new criminal allegation (beyond a reasonable doubt). Also, often the probation officer files the violation based on the alleged conduct and not necessarily the conviction. For example, if a person's new criminal offense was for a DUI which got dismissed, the violation may be based upon the person's alleged consumption of alcohol (if the person was ordered to not consume alcohol while on probation). If the probation violation is based only upon failure to pay, the court cannot incarcerate the person or revoke probation unless the court finds that the Defendant has not made a good faith effort to pay, and that the Defendant had the ability to comply without suffering a "manifest hardship". When considering the existence of a manifest hardship the Judge is supposed to consider: if the Defendant is employed; employment history; if the Defendant is employable; what the Defendant is able to earn; whether or not the failure to pay was willful; what financial resources the Defendant has; what are the Defendant's basic living expenses (shelter, food, clothing, child support, medical expenses, etc. ); the existence of any other relevant special circumstances. A lawyer, if experienced, will help you address these factors with the Judge, if applicable to your alleged probation violation. At hearing, some charges may require the assistance of an expert witness. An expert witness is basically someone who has special knowledge in a particular area that may assist the Judge. For example, if the issue is whether a person falsely tested positive to alcohol because they inhaled alcohol fumes at a work site, an expert witness may be able to convince the Court that the explanation offered is true and the positive test result was not due to voluntary consumption of alcohol. When it comes to presenting expert testimony at a probation violation hearing, you need a zealous and well prepared lawyer to represent you and explain your situation to the Judge. If a sentencing report of any type exists, the Defendant has a right to review it and to address any errors to the Judge. For felony cases the Judge must have a current presentence investigation report in order to consider a prison sentence. At sentencing the Defendant, defense counsel, prosecution, probation officer, and the victim of the underlying case all are allowed to provide statements to the Judge. Why Choose Hilf & Hilf For Probation Violation Representation? There are many lawyers who claim to handle probation violations, but in reality do not know what they are doing. Defending probation violations is a skill that develops over time with experience, legal acumen, preparation, and talent. Remember, hiring the right probation violation lawyer may be one of the most important decisions you make for yourself, your family, and your future. If you have been charged with a probation violation or a crime, contact us immediately to begin working on your case.